I just finished giving a speech at the Kinam Hotel in Port-au-Prince, Haiti. The applause afterward left me with a good, warm feeling. I’d spoken to more than 100 attendees, including MTPTC (the Haitian Public Works Ministry) engineers, ministry directors, nongovernmental organization (NGO) partners and the media. This event was to celebrate the achievements of the MTPTC engineers since the 2010 earthquake. I have had probably more than 50 speaking engagements each year for the last several years, for many different types of audiences, and giving speeches has become somewhat routine. Sometimes it feels like I am just going through the motions—but not this time. It was a great audience, and my emotions were high. I had worked closely with these people for the past 30 months. They were my colleagues, friends and students. 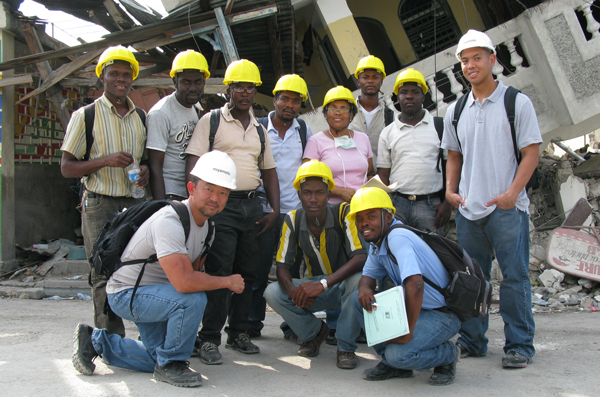 These young Haitian engineers had worked hard to save their country after an unprecedented disaster. 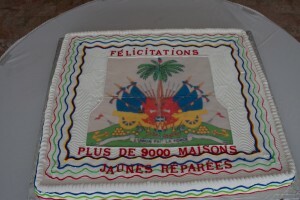 Although they had been totally unprepared, Haitians had stepped up and proved the world wrong about their abilities. 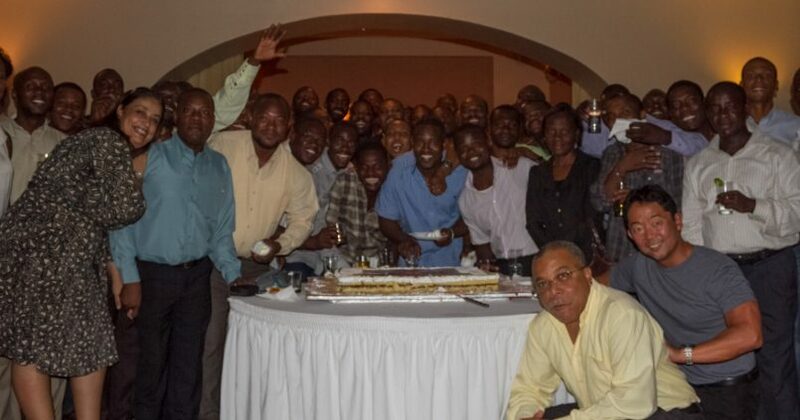 I had met these 40 engineers 30 months ago in a temporary meeting shack for MTPTC. The official ministry building had been lost after the earthquake. It was March 2010. We were being funded by UNOPS and the World Bank to develop and execute a program to assess the overall structural damage caused by a devastating magnitude 7 earthquake. 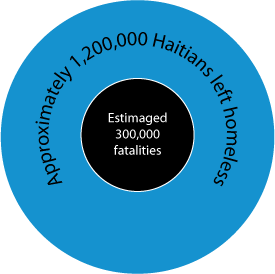 The Haiti earthquake killed an estimated 300,000 people and rendered more than 1.2 million homeless. The mandate was simple: Figure out what had happened and create a reconstruction strategy. We used the well-established Applied Technology Council ATC-20 as a baseline to create an automated structural damage assessment tool. This assessment tool used a GPS to record data and download information quickly every day, so the situation could be seen in real time. 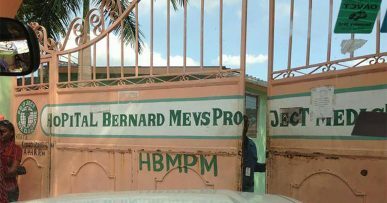 This was the first time in history that such a high-tech and massive assessment program had been developed. We selected 260 top young engineers from MTPTC’s list of recent college graduates. First, I trained the trainers and managers. Then they trained the rest of the group per international standards in the classroom. But the real training started in the field. We divided 260 engineers into 17 divisions. Each division was headed by a senior MTPTC engineer and deployed to the field in a van, with preprogrammed personal digital assistants (PDAs) in hand. 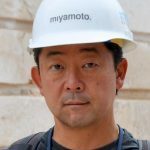 A dozen Miyamoto engineers were spread out among the groups to provide on-site training and quality control. Eventually, the Pan American Development Foundation (PADF) and USAID OFDA (Office of U.S. Foreign Disaster Assistance) also became partners in the project. Dan O’Neil of PADF became one of the biggest supporters and proponents of the reconstruction program. During the first 12 months, we assessed 430,000 structures. We covered all the affected areas, from the densely populated concrete jungle of Port-au-Prince to the green fields of Léogâne. It was incredible. I lost 20 pounds just climbing the steep urban hills and damaged buildings. 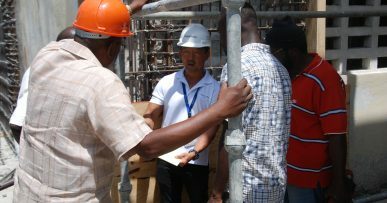 The engineers on the team proved the negative things that had been said about Haitians entirely unfounded. 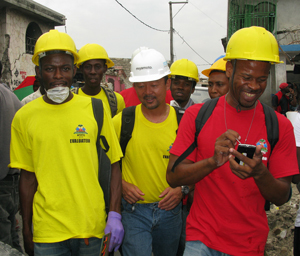 Misconceptions about Haitians included that they were lazy, helpless, and some people had even told me that I would lose all the engineers during the World Cup or on rainy days. Guess what? These sentiments were completely wrong. These engineers are the most hardworking and passionate people with whom I have ever worked. They even showed up for work on Christmas Day, and insisted on working seven days a week. Only hurricanes and political demonstrations during elections stopped them. Our efforts paid off. 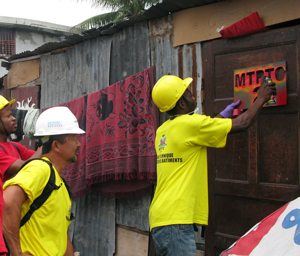 Our MTPTC engineers were the first official personnel to arrive at collapsed buildings to assess damage.